32,421 How is this calculated? My dad took me to my very first Blades game when I was 6 years old (1988/1989 season). We played Swansea at home and won by a big margin - either 5-1 or 5-2. I can't remember much about the game, but I can remember that I was hooked and my dad took me to another few games that year and the year after before buying me a season ticket for the 1990/1991 season. There's been a few crackers that I've been to over the years. Winning 4-0 away at Leeds in 2004/2005, 5-0 away at Bradford in 2002/2003 and 4-1 away at Grimsby in 2002/2003. However, the pick of the bunch for me has to be the Play-Off Semi Final victory over Nottingham Forest at the end of the 2002/2003 season. 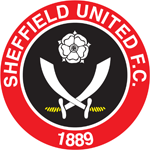 After drawing the first leg 1-1 at the City Ground, we played the second leg at Bramall Lane on at Thursday night. Just after half time we found ourselves 2-0 down, but that team had great fighting spirit and we quickly made it 2-2 with goals from Michael Brown and Steve Kabba which took the game into extra time. Another 2 goals in extra time (one from Paul Peschisolido and an own goal from Des Walker) saw us win a pulsating game 4-3. There's been a few bad ones over the years - any Play-Off Final we get to is guaranteed to be a disappointment as we've lost all 3 (vs Crystal Palace, Wolves and Burnley). Add to that any game which we lose to Wednesday. As a general rule, I don't like the new build grounds... they all look the same and are mostly built miles away from anywhere. 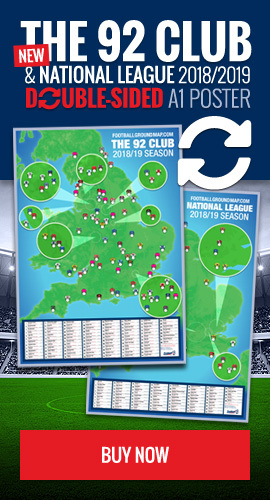 The Walkers' (Leicester), The Britannia (Stoke), The Stadium of Light (Sunderland), Pride Park (Derby), Lakeside (Doncaster) and The Riverside (Middlesborough) all look the same. But by far the worst ground I've been to is none other than the New Wembley Stadium. It was massively over-budget, late and is in an awful location (London). Inside, it's big and ugly with awful padded seats (in some areas) and simply too many tickets given to corporate people who don't care about our beautiful game. Tickets are massively over-priced and under-issued meaning that many genuine fans can't get to the games. I hate the place.